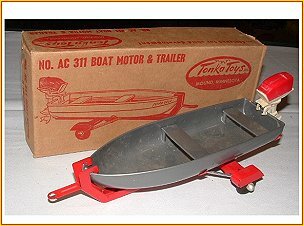 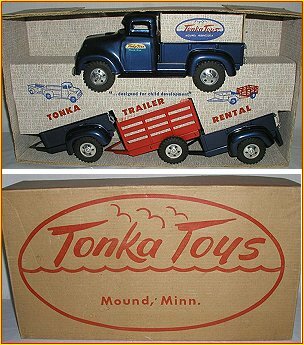 Tonka manufactured many different sets of trucks. 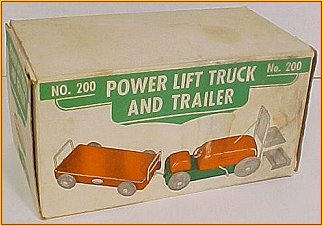 Not only does the box go missing in action, many of the trucks in the set can also be lost to time. 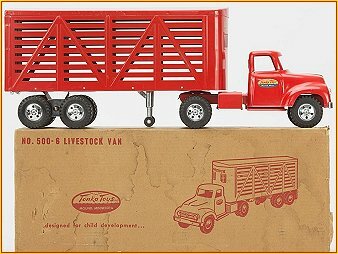 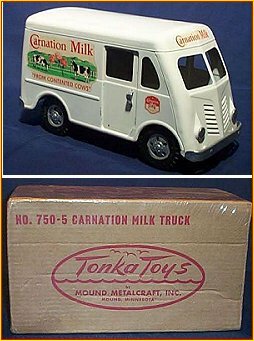 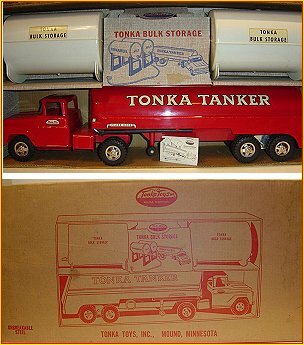 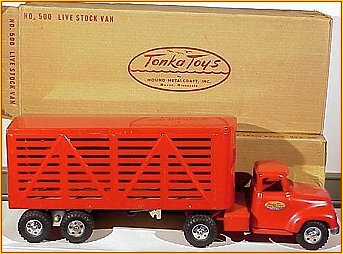 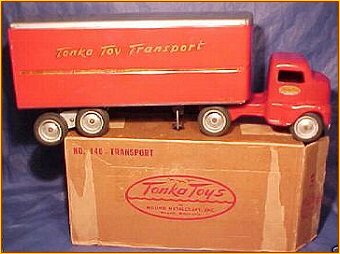 Tonka trucks with their box featured below include a 1960 B220 State Turnpike Set, 1957 model B200 Trailer Rental Set, 1977 model 750-5 Carnation Milk Truck, 1960 model B215 Bulk Storage Set, 1958 - 1959 model AC311 Boat Trailer & Motor, 1948 model 200 Power Lift Truck and Trailer, 1948 model 300 Hospital Bed, 1949 model 140 Tonka Transport, 1954 model 500-4 Livestock Semi and a 1956 model 500-6 Livestock Semi.